Advisory Committee Member for the Nanotechnology Informal Science Education Network and the Bovay Center for Engineering, Ethics, and Society at the National Academy of Engineering. Clark Miller’s research is centrally concerned with the problem of public reasoning-how political systems reason collectively about policy challenges-created by a rapidly globalizing world. His newest project is a comparative analysis of the epistemic constitution of global security in three powerful expert agencies-the International Atomic Energy Agency, the World Health Organization, and the International Monetary Fund-from their inception in the years following World War II through the end of the Cold War, the rise of globalization, and the politics of global dissent at the turn of the new millennium. 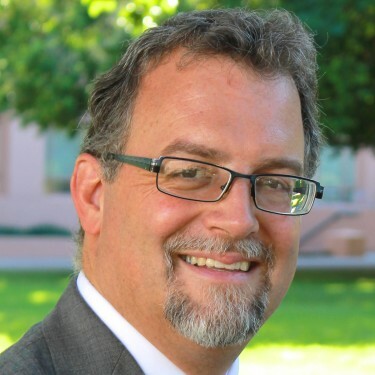 Miller is the faculty coordinator for an exciting new CSPO initiative, the Project on Global and Comparative Knowledges, an effort to establish at ASU the critical capacity to systematically evaluate the knowledge bases underpinning decisions of planetary significance. The project seeks to refine our understanding of epistemic power, conflict, and confrontation in international governance, grounded in empirical and theoretical evaluations of the organization of systems of practice and discourse for deliberating, warranting, and critiquing knowledge and expertise in international governance. The project’s ultimate ideal is to avert, in the future, the kind of major failures in how policy problems are identified and framed, evidence evaluated, and expertise mobilized at the global scale that have, in recent decades, cost tens of thousands of lives and created a crisis of trust and credibility in international governance that continues today to feed smoldering resistance amongst global publics. Miller is the editor of Changing the Atmosphere: Expert Knowledge and Environmental Governance (MIT Press, 2001, with Paul Edwards) and the author of nearly fifty articles and reports on the politics of science and decisionmaking in democratic governance and the physics of the Earth’s upper atmosphere. In 2003, he served as a consultant to the United Nations Environment Programme and the Millennium Ecosystem Assessment, and he currently is participating in follow-up discussions of the institutionalization of biodiversity expertise in global politics on a more permanent basis. He also is a founding co-organizer of the Science and Democracy Network, a professional organization for scholars and practitioners working at the intersections of knowledge, expertise and democratic governance. In addition to his leadership at CSPO, Miller serves as the associate director of the Center for Nanotechnology in Society and chair of the PhD Program in Human and Social Dimensions of Science and Technology. He also serves on the advisory committee for the Nanotechnology Informal Science Education Network and the Bovay Center for Engineering, Ethics, and Society at the National Academy of Engineering. Bird, Frederick, Twiss, Sumner B., Pedersen, Kusumita, Miller, Clark A. and Bruce, Grelle. 2016. The Practices of Global Ethics. Ediburgh University Press. Herkert, Joseph R., Hollander, Rachelle, Miller, Clark A., Benya, Frazier, Monfreda, Chad and Osborne, Lynette. 2015. Energy Ethics in Science and Engineering Education. Springer. Herkert, Joseph R., Hollander, Rachelle, Miller, Clark A., Benya, Frazier, Monfreda, Chad and Osborne, Lynette. 2015. "Energy Ethics in Science and Engineering Education." International Perspectives on Engineering Education: Engineering Education and Practice in Context, ed. Christensen, S.H., 249-259. Springer. Miller, Clark A. 2015. "Modeling risk in complex bioeconomies." Journal of Responsible Innovation, 2(1): 124-127. Miller, Clark A., Altamirano-Allende, Carlo, Johnson, Nathan and Agyemang, Malena. 2015. "The social value of mid-scale energy in Africa: Redefining value and redesigning energy to reduce poverty." Energy Research & Social Science.